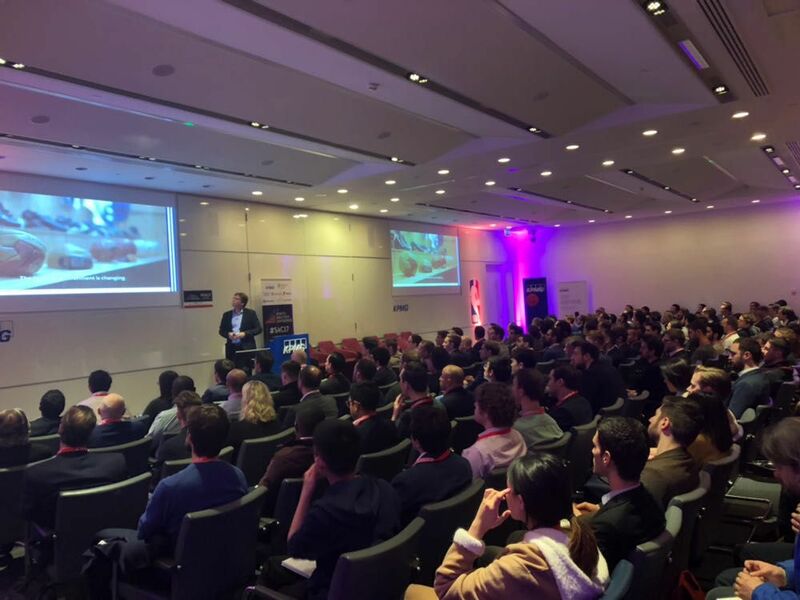 Last month, Loughborough University London was the lead academic partner for the UK leg of the Sports Analytics World Series, the first of seven global events over the next 12 months. A number of our academics spoke on panels at the conference, whilst our student ambassadors worked tirelessly to support the event. One of our ambassadors, Joel, attended the event and has provided an insight into the day. On 24th November, over 500 delegates of industry professionals got together to discuss the future of sports, technology, stadiums, and fan engagement at KPMG’s office in Canary Wharf, London. One of the sessions covered the topic of Esports. It’s clear this sport is set for rapid growth especially among the younger generations. Through strategic partnerships, growth is to be sought through establishing a grassroots level programme by promoting gaming in moderation to schools. One way in which Esports seems to be excelling in making the viewing experience exciting to watch. Shoutcasters (presenters) give live commentary and breaking down play with analysis as we’re familiar with seeing in traditional sports (using Vizrt graphics). Tournaments sell-out stadiums and can receive 10 million plus viewers a day, and with a prize pot of up to £15 million it’s no wonder the sport is rapidly professionalising. 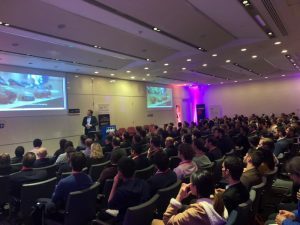 Chester King (CEO, British Esports Association) eluded to the fact that Esports’ most popular titles such as League of Legends, Counter Strike, Dota, Call of Duty etc. fail to match the Olympic values of Respect and Peace due to their violent nature. This means sports games like NFL, FIFA, and even Rocket League will likely be at the fore as they continue their push to becoming an Olympic sport. The Game Scheduling session was led by KPMG. Sports Analytics Conference’s founder Ryan McCumber presented the software created to solve NBA’s timetabling problem. The outcome was a system which took into account over 1,000 factors weighted by penalties to create the optimum schedule of the 30 teams who each play 82 games in a season. There are more possible combinations of schedules than grains of sand on the beach. Factors like playing games on more than 3 consecutive days is given a high score to ensure it is likely to happen. Other factors include things like travel distance required, expected ticket sales, and the networks’ preference for broadcasting big games. Each factor has a weight of 50 – 1,000,000 and over 200 million combinations per minute possibilities are calculated – increasing the scheduling ‘score’ by over 70%. Only three years ago this was a manual process! In what was probably my most enjoyable session of the day, Lava’s CEO Wen Miao shared beautifully made slides on the incredible innovations at Sacramento Kings, Golden1Center and Mercedes Benz Stadium. They use tech like nowhere else – to nail the simplest of things like parking and food/beverage purchases. Everything is tracked and fed into a mega-computer which engages with fans ‘in the moment’. With so much emphasis on live tracking, this solution allows real-time personalisation and activation. The app tracks is your ticket, and tracks real-time attendance, purchases, social media, and more. This allows you to interact with your VIP attendees and the masses in a way like never before. By configuring the AI, when pre-determined conditions are met an action is carried out. This could mean that when it is raining and the team is losing an alert is sent to all phones that drinks are 25% off, buy one get one free when inventory for hotdogs is above 2,000, or simply when a customer bought 3 beers last time the fourth is with a discount this time in order to up-sell. Of course every aspect of this formula is customisable, and the beauty is in its simplicity. It’s only a matter of time before this is introduced in Europe. 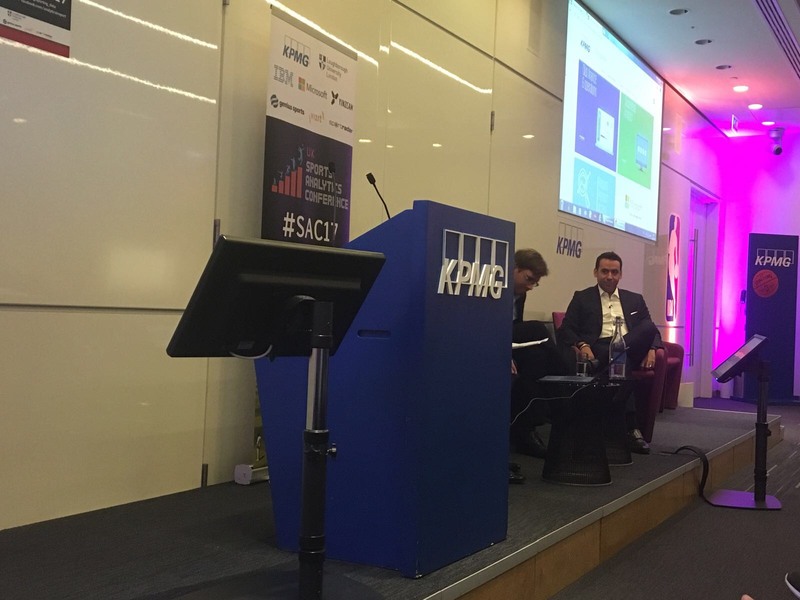 Thanks KPMG for an enjoyable and informative day! Thank you to our Sport and Business Leadership MSc student, Joel, for providing an interesting overview of the conference. 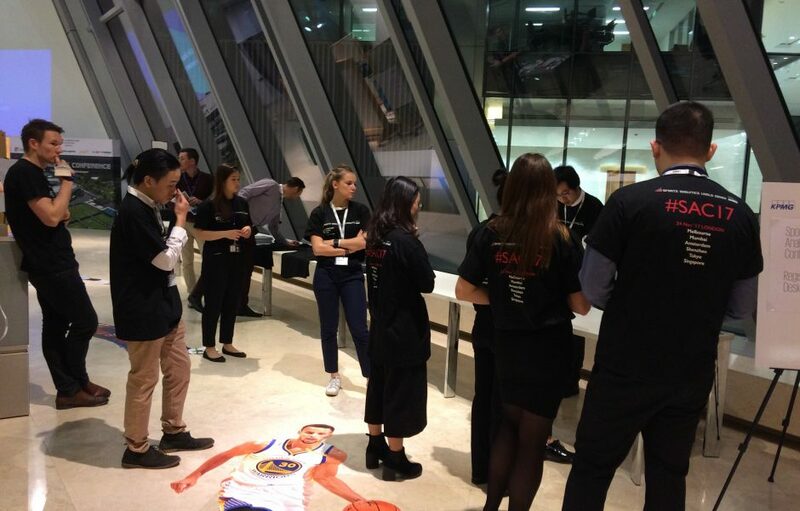 Thank you also to KPMG for organising the conference, and to our staff and student ambassadors for their support on the day.